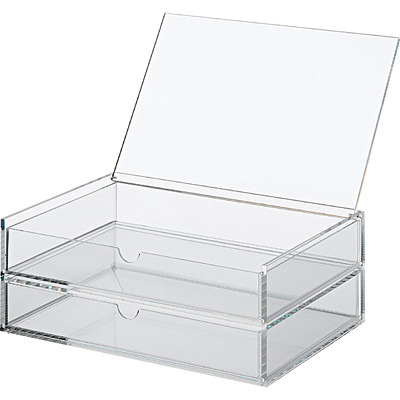 Multipurpose transparent acrylic box with two drawers and flip top lid. Additional velour partition inserts are available to purchase separately. For this box, 8373575 and 8373544 are suitable.